There's a new signal in town and this time it appears right over Saru's homeworld. Will he take this advantage to change the balance between his people and the evil Ba'ul? Spoiler...yes. Yes he will. 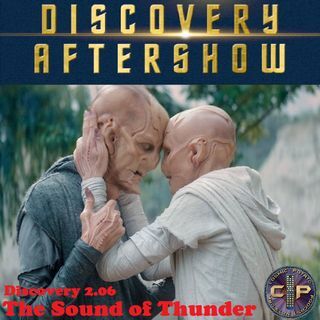 This week Shawn, Rick, and Virginia are joined by Branden Ushio from The Fandom Podcast to talk about the sixth episode of Star Trek: Discovery's second season.